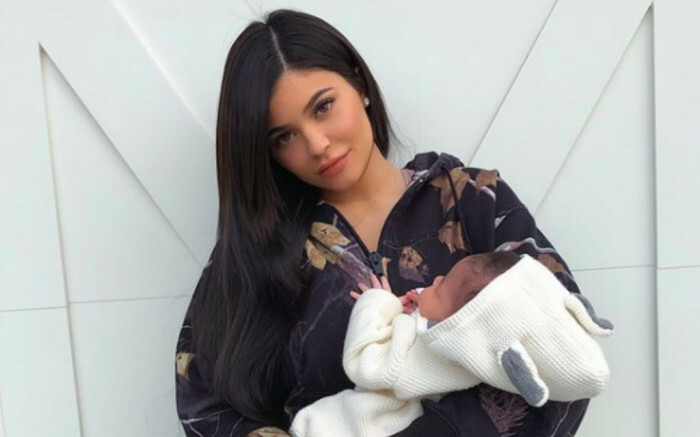 I saw a few reports about how makeup mogul and reality TV star Kylie Jenner has selected to stop showing her daughter Stormi’s face on social media after a few mean trolls left nasty comments about the infant. 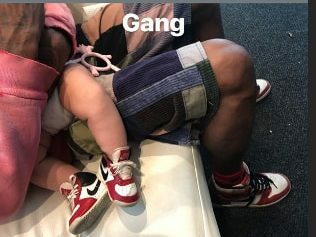 Reportedly, she was excited to share her baby with the world but has had to retreat amidst the mean trolls, and her beau and Stormi’s dad Travis Scott is doing the same, only showing her tiny Nikes in a recent Snap Story. I cannot say I blame her. 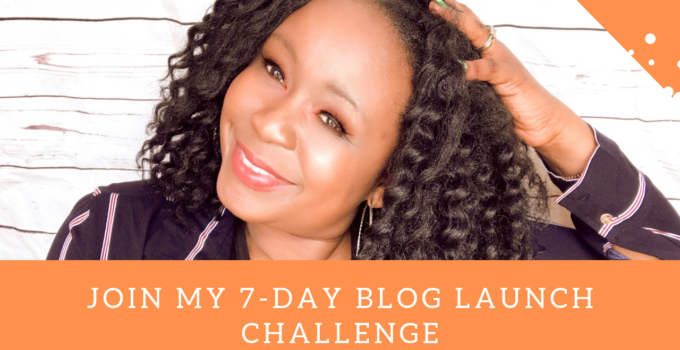 One of this blog’s most viewed post is about Aoki Lee, the brilliant daughter of Russell Simmons and our Bellyitch Bumpwatch alum Kimora Lee Simmons, who avoids posting photos of her face on her own Instagram page, and how I believe it stems from nasty comments from the public about her looks. The harsh critique from the public probably explains why Beyonce famously shielded her daughter Blue Ivy‘s face when she shared photos of her during her infancy to toddler years, and Kelly Rowland for the first year of her son’s life as well. 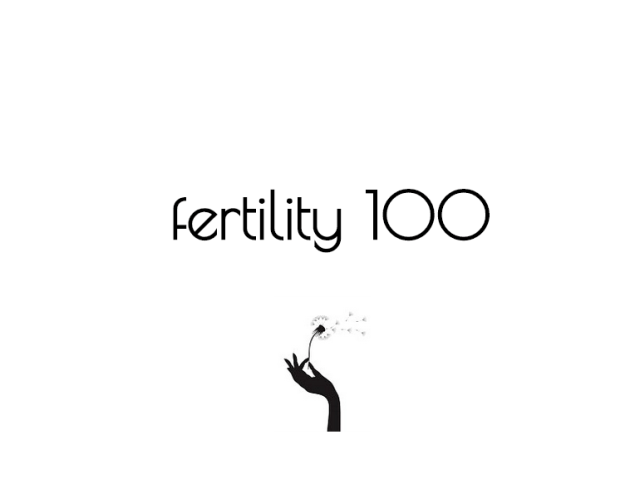 If you follow actress Zoe Saldana‘s social media, you will see that she was telling t to share a photo of her twin boys, Cy and Bowie and their baby brother either but has recently. Over the pond, singer and TV presenter Rochelle Humes features many snaps of her daughters on Instagram but none of her face. Another one of this blog’s bumpwatch alums Keisha Knight-Pulliam also refuses to show her daughter Ella Grace’s face on social media. Then there are the other extremes who don’t show their children’s faces at all, like Kerry Washington, Eva Mendes, Ryan Reynolds and Blake Lively until recently. 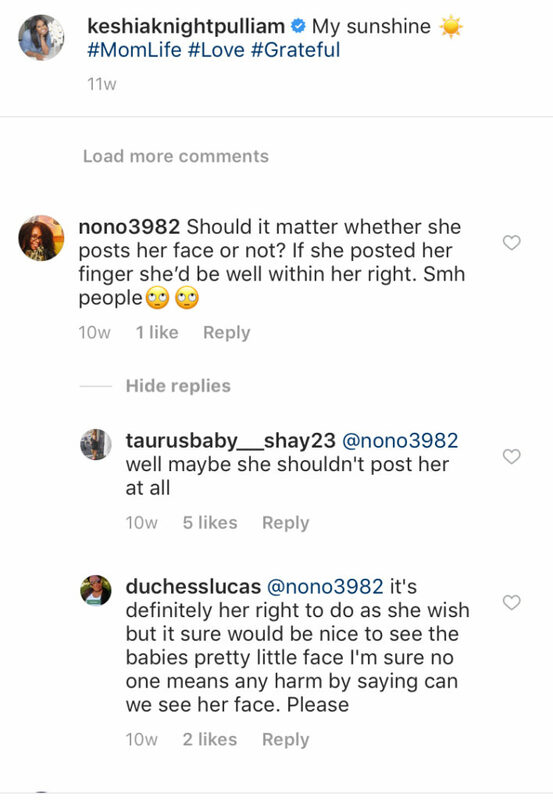 The fans demand it, and many fuss about being denied the chance to gawk at their babies, as if it their right like these who commented under one of Knight-Pulliam’s pics. And those who do share like Tia Mowry and Solange Knowles have found themselves having to snap back and put mean trolls in their place who called both their sons ugly, as recently as a few years ago. These reactions prove why it is not a bad idea to keep something private.